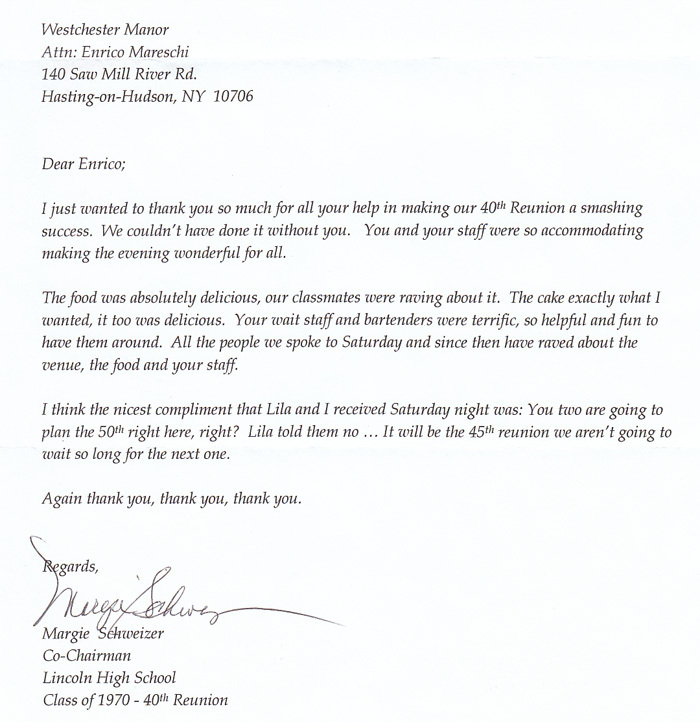 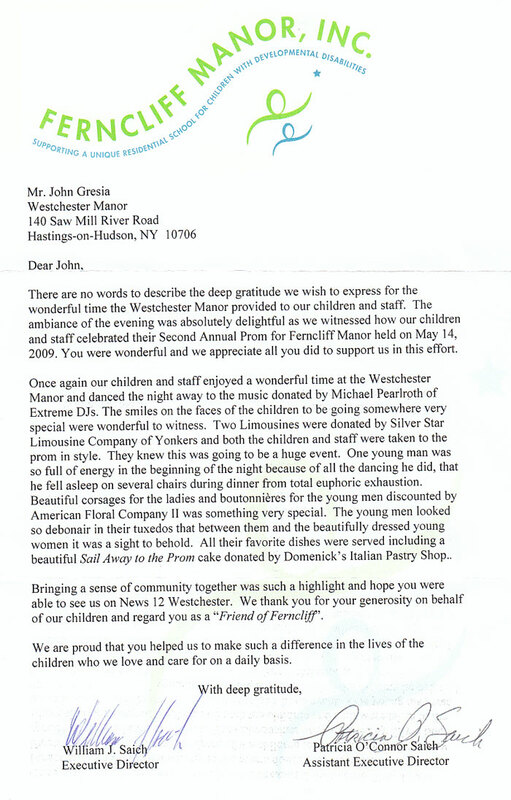 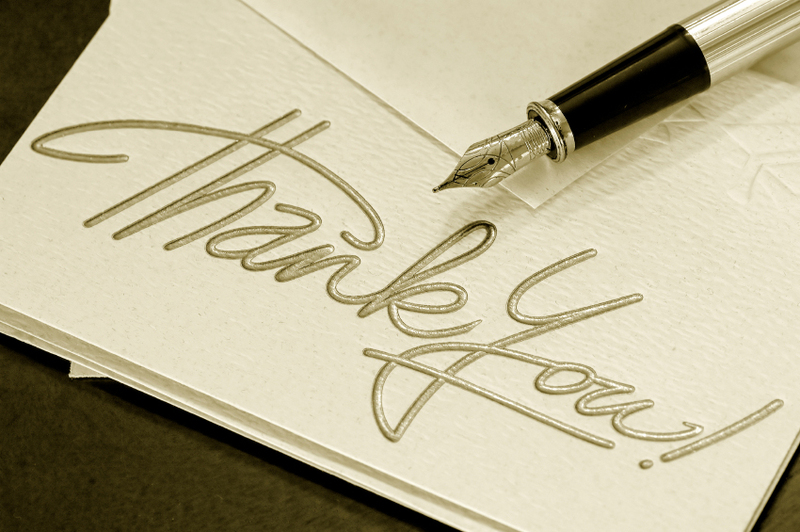 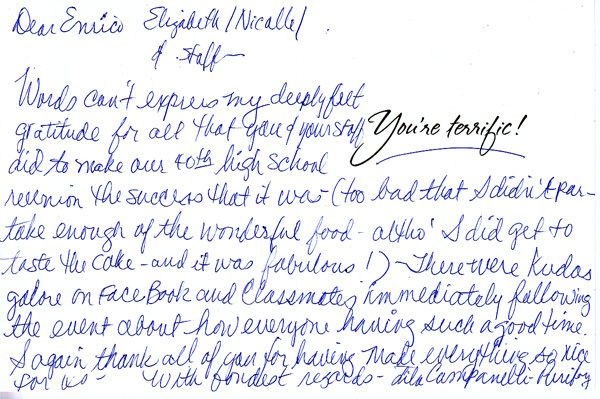 At Westchester Manor, nothing makes us happier than to receive letters from our clients telling us how special we helped to make their most important days. 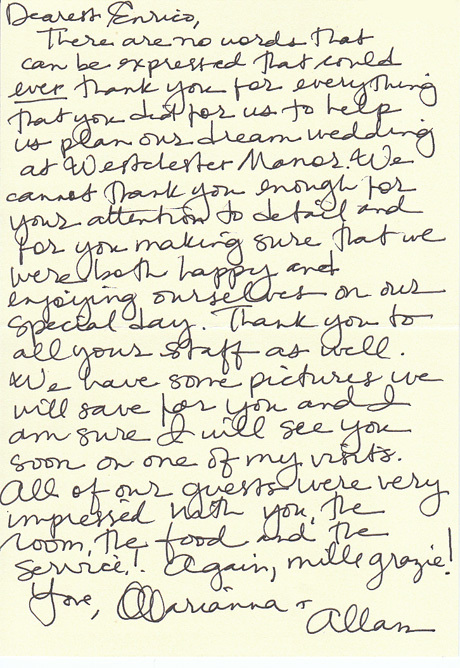 Please see a sample of just a few of the notes we’ve received that show the care and attention that we pay to each and every one of our guests. 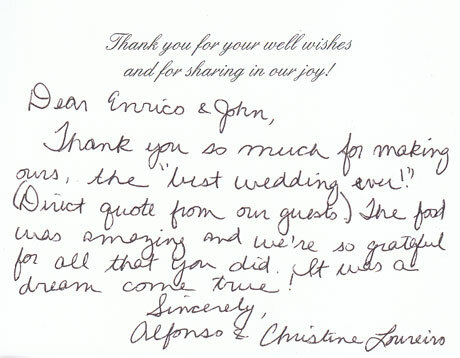 We look forward to making you as happy on your special day!